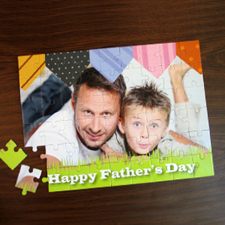 Remember the days when you used to get together with your friends and family to put the pieces of a jigsaw puzzle together? 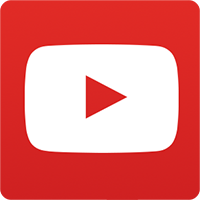 Now get ready for more fun. 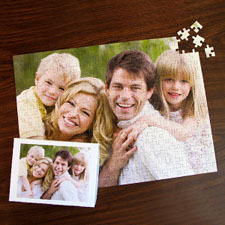 At PrinterStudio.com you can make your own photos to puzzles on our online jigsaw maker in 3 easy steps in the comfort of your own home. 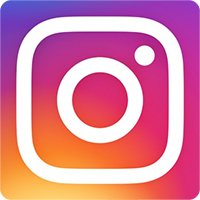 Upload your favorite family and friends photos, or of you and your partner, your holiday shots or even your wedding photos to make a special wedding gift. 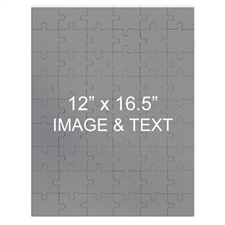 Drag the picture onto our template jigsaw maker and preview how your photo puzzle will look before you place your order. 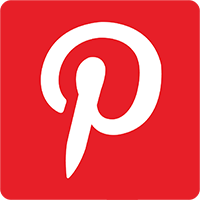 Order any quantity (the more you order, the cheaper it gets) and give them as gifts on special occasions such as birthdays, reunions, anniversaries or even as a gift to treat yourself. 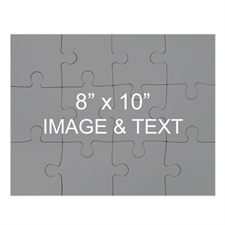 Our photo puzzles come in a large range of designs both vertical and horizontal. 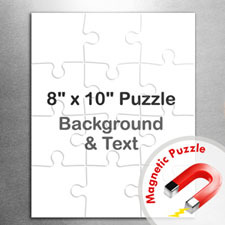 You could opt to add a few more photos into a puzzle by choosing our entensive design collection for collage puzzles. 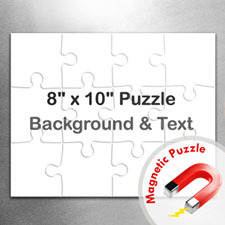 And for a little bit more, you can turn your puzzle into a magnetic photo puzzle for even more fun! 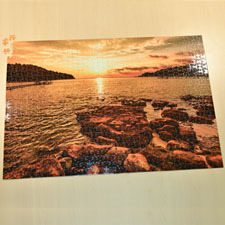 You could also choose our heart-shaped puzzle which comes with a free frame to mount your puzzle on. 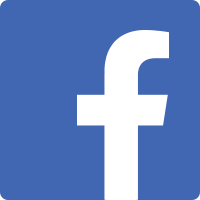 Add a photo of you and your wife or husband, girlfriend or boyfriend and send it them on any occasion worthy of a special gift. 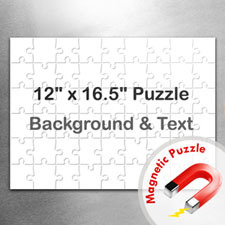 All puzzle designs can be customized further by adding your own personal message. You have the choice of 12 piece, 54 piece, 100 piece or 285 piece puzzles so both kids and adults will be able to enjoy playing this fun and educational game. 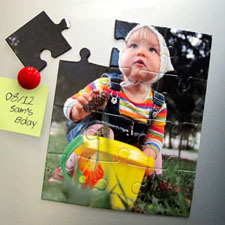 Scan in a picture of your kids drawings onto your computer and upload it onto our online maker to make a great kids puzzles gift. 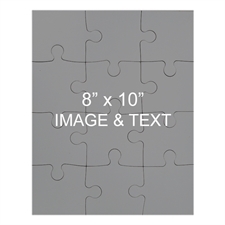 You don't need to worry about quality because when it comes to that, we come second to none, using industry standard industrial production printers printing your photo onto professional jigsaw template boards , making sure your photo puzzle will last the test of time for many years to come. 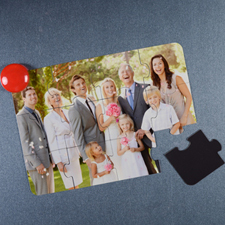 What’s more, all our photo puzzles (excluding heart puzzles) comes in a personalized gift box bearing your photo and design on the lid. A perfect gift set for anyone. 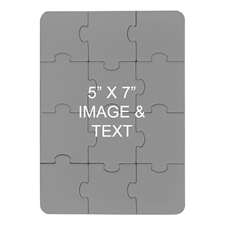 As a latest addition to our growing range of personalized puzzles sizes, we have added a small 5"x7" puzzle with 12 pieces. 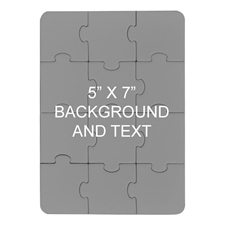 These are great for kids or as a party invitation card which you can send to your party guests to assemble to find out where your party is. The best thing is that the price starts as low as $1.55 and comes flat-packed. Who says meaningful gifts can't be cheap? So get started now and use our jigsaw puzzle templates to turn your photos to puzzles.